Lancashire Day is being celebrated across the county on Saturday. In 1295 King Edward I called the county's first elected representatives to Westminster to attend what later became known as "The Model Parliament". Town criers across the county will read out the Lancashire Day Proclamation to mark the date. And author Charles Nevin has put together a list of 100 reasons to celebrate the county - including Eccles cakes, Wayne Rooney and Vimto. 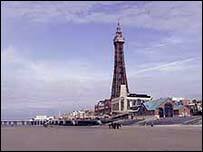 The author of "Lancashire: Where Women Die of Love" said: "It's a pity I had to stop at 100. Can anywhere else in the country match this list? No chance! "Apart from the great men and women who have hailed from Lancs - from Mrs Pankhurst to Eric Morecambe - the county has had an incredible influence on the rest of the country and the world." The Friends of Real Lancashire will also be celebrating on Saturday. Members believe in the "Old Lancashire", which included Manchester, Liverpool and Bolton until local government reorganisation 30 years ago. Mr Nevin added: "It's time Lancastrians - always modest people compared with certain other northerners - shouted a bit more about their great county and its achievements. "All together: 'Well, I'll go to the foot of our stairs!'"